When importer Leith Shenstone drinks the vermouths that his company, Fasel Shenstone, brings to the States, it’s often in a simple spritz: vermouth and bitters, with a splash of soda. And he has observed that these spritzes are an excellent gateway to aperitivo culture. While many casual drinkers have an aversion to vermouth, Shenstone finds that the taste of a simple vermouth spritz can change their mind. “People love them,” he says. “[They can] drink vermouth without having to be scared of the word vermouth.” Straightforward, low-proof, carbonated: Vermouth seemed like a perfect candidate for a canned cocktail. The process of transforming it into a line of canned drinks took two years. 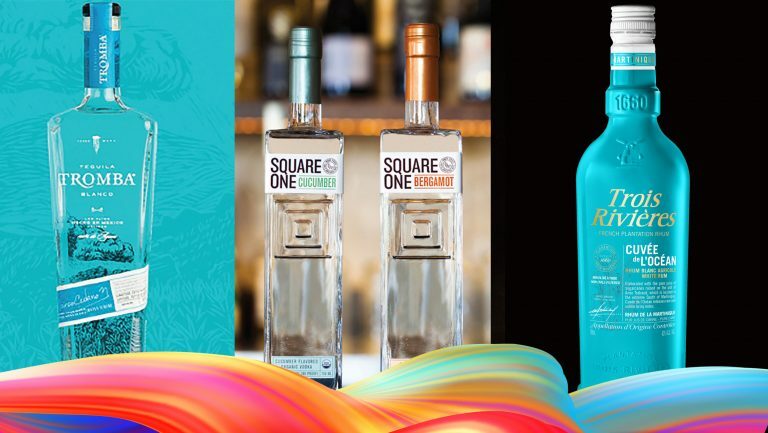 Shenstone collaborated with Mancino Vermouth, whose products his company imports from Italy, and Scrappy’s Bitters, which had already debuted its own line of canned cocktails, Half Seas. The resulting spritz, called Sprezza, sounds simple, particularly given the ingredients involved: the vermouth—either a white, Bianco, or red, Rosso—orange bitters, and soda. But producing a viable canned version of even the simplest cocktail poses some challenges. 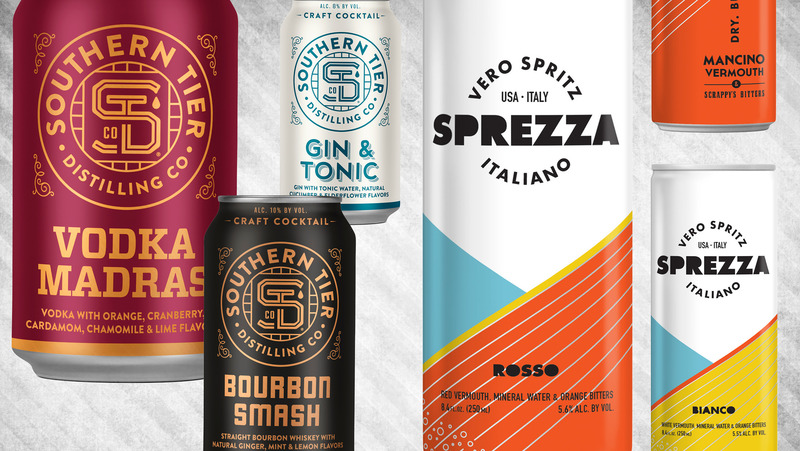 Scheduled to launch in five states by January 2019, followed by a larger rollout in the spring, Sprezza is part of an emerging trend: premium ready-to-drink (RTD) cocktails for consumers accustomed to craft cocktails. And many of the new players in the RTD cocktail space come from a beverage background. 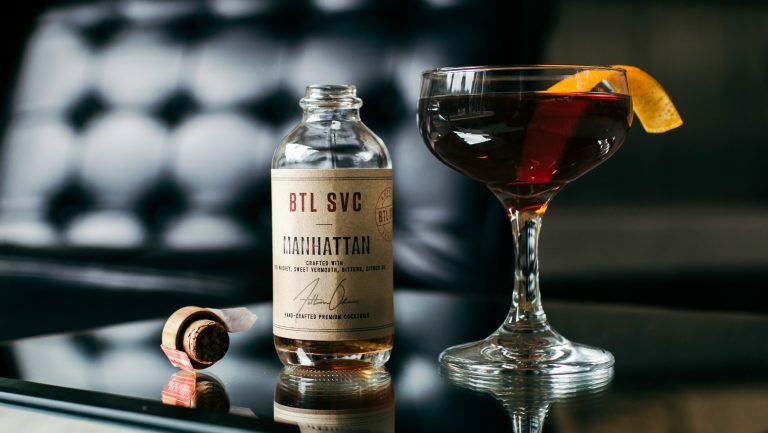 Often, they’re distillers looking to highlight their spirits in a canned drink, or bartenders keen on using the format to market their own cocktails. “It seems to me that a lot of the existing commercial players have the right idea but have a hard time executing,” says Shenstone. “They’re not thinking about the ingredients first. It’s ‘Here’s a cocktail idea—how do I make something decent?’ Not ‘Let’s think about the liquid we have, and go forward from there.’” Many of the newer-wave RTD cocktail entrepreneurs seem to be acutely focused on ingredients and production processes. A glance at the shelves of many liquor shops and grocery stores tells a clear story: The RTD cocktail category is on the rise. According to the Mintel Group, it’s a trend that will continue. The company’s December 2017 RTD Alcoholic Beverages report forecasts a 24 percent gain for spirits-based RTD cocktails for the period from 2017 through 2022. Of consumers who reported drinking RTD beverages, 26 percent said they drank more of them over the last year, citing “better selection of flavors,” “more premium offerings,” and “better selection of craft offerings” as the top three reasons for doing so, which suggests there’s a lot of potential in the market for these products. What’s more, the report notes, other categories demonstrate that the perception of canned drinks as being of lower quality is changing. Canned wine, almost unheard of before 2015, now appears on the shelves of wine stores nationwide. Canned craft beers are rapidly gaining in market share against their bottled counterparts. Cans are no longer the territory of mass-market beers alone. 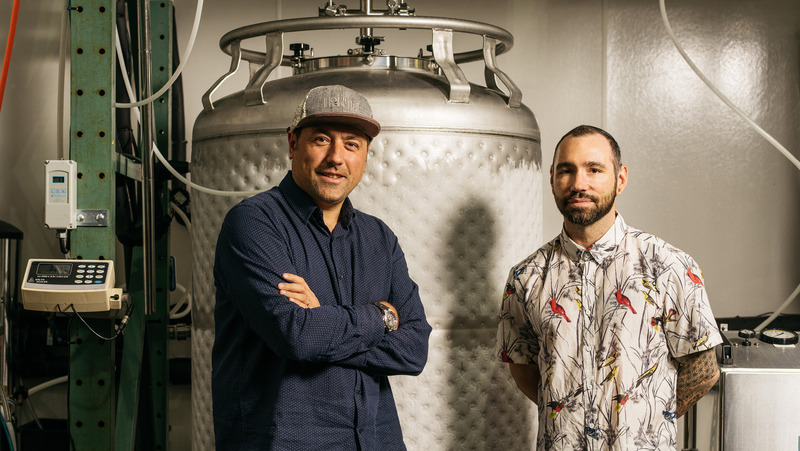 Giancarlo Mancino and Miles Thomas, the producers of Sprezza. Photo courtesy of Sprezza. As a longtime Colorado bartender, Quinton Bennett, founder of Wheel House Cocktails in Denver, was keenly aware of the gap between craft cocktails and portable drinks. “I lived in Steamboat Springs for 15 years,” he says. 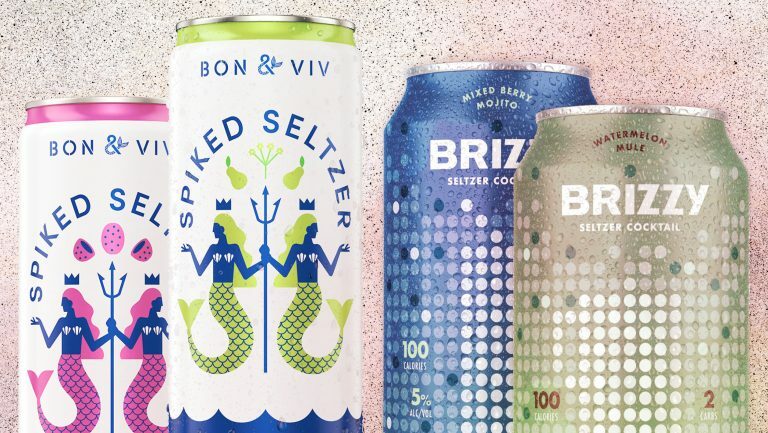 “We’re skiing and biking and camping all the time, but other than craft beer, there weren’t any good canned drink options.” This was his inspiration to launch the cocktail line—leveraging his bartender’s expertise to create canned drinks of a craft cocktail caliber. The biggest challenge, the group quickly found, was the sugar level. “It immediately made sense why so many products on the market were too sweet—or just not balanced,” says Shenstone. “Carbonation affects sugar. The sugar latches onto the bubbles, so the more carbonated a drink is, the less sugar you taste.” With only three ingredients, it wasn’t possible to adjust the sugar levels easily. Changes had to come through the balance of the ingredients themselves. As with Shenstone’s Sprezza, even these simple drinks proved complicated. Katrincic laughs, saying, “If we knew everything that we’d have to figure out at the beginning, we might never have done it!” Many problems arose, especially during canning. Since neither the mobile canning operation they hired nor the craft breweries that canner usually worked with had any experience with spirits, much of the canner’s expertise did not apply. “There’s no yeast,” she explains, “so you don’t know how much head there’s going to be, how much foaming, where the fill line should be.” Calibrating the equipment ended up being a process of trial and error. “The first canning run we did, we had a 30 percent product loss. My heart sank as we watched it go down the drain.” But the second run was much more successful. Achieving shelf stability with fresh ingredients is another challenge in creating canned cocktails. Many cocktail staples—citrus and herbs, to name only two—are perishable; successfully getting them into a canned product is complicated. Wheel House’s Bennett built his three canned cocktail concepts from cocktail templates he knew from his bartending experience would be popular. For example, he says, “people at cocktail bars ask for vodka, citrus, not too sweet.” With that request in mind, he developed a vodka-based cocktail with a mint-cucumber-elderflower syrup and lime. Sourcing produce at a larger scale, however, was a challenge at first. It’s one thing to find a good mint supplier for a cocktail bar, Bennett says, but quite another to order 200 pounds of fresh mint in one go. Because Katrincic’s was the first spirits-based RTD product line to be launched in North Carolina, a control state, she ran the risk that Durham Distillery’s canned cocktails wouldn’t be approved at all. “You have to develop a whole product line—get it fully done and packaged—before you can submit it,” she says. “If [the North Carolina Alcoholic Beverage Control (ABC) Commission] says no, you can’t even sell it at your own distillery. So we were at risk for 10 months. 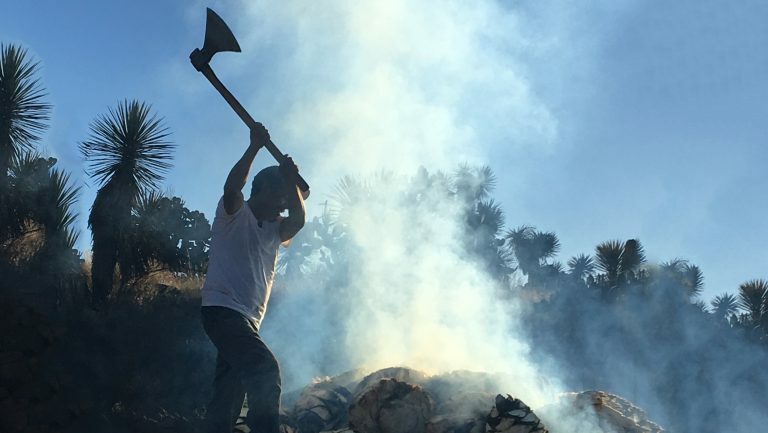 We were prepared for a no, and it’s hard to launch a product that way.” Approval came in late July of this year, and the product line was shipped to ABC stores several weeks later. As portable, easy-to-drink, and shelf-stable products, canned cocktails are intended to be consumer friendly. Convenience and accessibility are, in a way, the whole point. “Ready-to-drink cocktails shouldn’t be a cerebral experience,” says Shenstone. “We want to introduce people to a style of aperitivo that they might not create on their own—with interesting flavors but not something they have to think too hard about.” The challenge, then, is to create straightforward drinks with widespread appeal that meet the higher standards of today’s spirits-savvy consumers—a goal that each of these brands, in its own way, is endeavoring to meet.